Home Blog. Which Way Now for Health Reform? Now that Speaker Paul Ryan has introduced the Republican proposal to repeal and replace the Affordable Care Act (a pair of bills referred to as the American Health Care Act), it would be instructive to look back to 2009, the last time health insurance reform was on the table, to see what directions health reform may take. Back then, 49.9 million Americans, or about 1 in 6, were uninsured; health care premiums for Americans who had coverage were increasing by double digits every year, and Americans paid more for health care and got worse results than citizens in any country we would consider our peers. At the time, health experts and advocates worried about what health reform would produce from among several possible combinations of two main outcomes – better or worse health results, increased or decreased fairness. The drawing below outlines these future scenarios. The worst results could be a sort of “Blade Runner on Steroids”- world of greater disparities in access to care, quality of care, costs and health outcomes, while the best we could hope for back then was to see both improved community health and reduced health disparities. The Affordable Care Act or Obamacare, whatever you prefer to call it, is imperfect, but it is important to remember that it could have been a disaster. But instead of "Blade Runner on Steroids", we got significant increases in both health coverage and fairness. 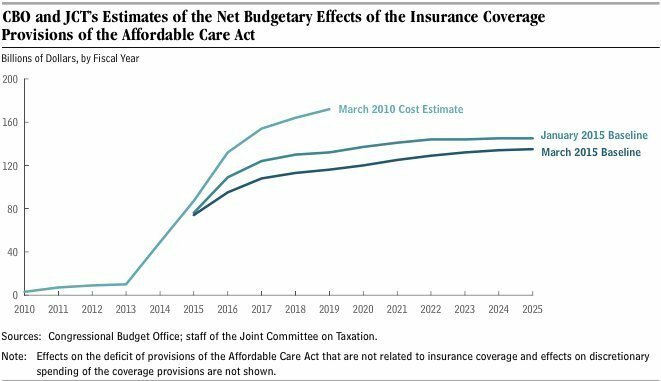 The share of uninsured people dropped dramatically – over 19 million people gained health coverage – and the costs to the federal government for subsidizing premiums have been about 1/3 less than projected, while the rate of increase of health care costs has slowed compared to the prior system. But in case improved health coverage and increased fairness don’t float your boat, there are a bunch of important reasons to make sure that if we're going to overhaul the health insurance system a second time in less than a decade, that we do it right. Health coverage is a competitiveness issue – businesses compete with overseas corporations that don’t have to pay for health coverage. It’s an entrepreneurship and innovation issue – dependence on employer-sponsored health coverage means millions of people delay or avoid stepping out on their own to create new businesses because they risk catastrophe beyond just failing in business. Depending on what results from the new GOP proposal, we could go several different directions from here, as the drawing above illustrates. We will be very lucky indeed if Speaker Ryan’s plan is able to provide real, affordable, effective health insurance for as many or more people as the ACA does and at reduced costs.